Milk created all the visual effects for the BBC’s new seven-part television drama Jonathan Strange and Mr Norrell, which premiered on BBC One on Sunday 17th May 2015. Directed by Toby Haynes and adapted by Peter Harness from Susanna Clarke’s best-selling novel of the same name. 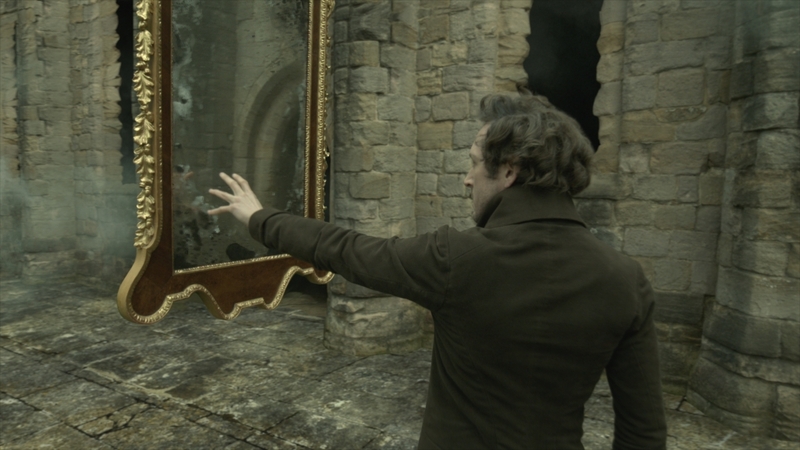 VFX brief: To create a range of effects across seven hours, to support the epic tale of the return of magic to Georgian England. 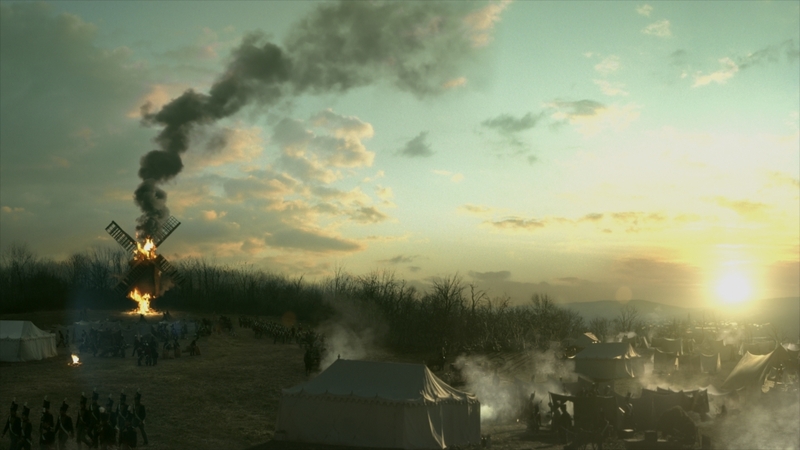 Working closely with director Toby Haynes, Milk designed and made standalone VFX sequences in each episode, portraying the magicians’ use of the elements to create magic; environment work to bring the magical fairy world to life; crowd work to help portray the Battle of Waterloo; as well as creating a large body of invisible, seamless effects to support the narrative. Milk also undertook the traditional work associated with a period drama such as paint outs/clean up, set extensions and matte paintings to set the scene and add scope and scale in Georgian England. Each sequence required a bespoke approach and had to fit the tone of a fantastical world set in a real historical period. Milk’s work in episode 3 ranged from visualising Jonathan Strange creating a road across a Spanish hillside by magic; a photo real windmill, crowd replication for the British army and matte painting work to enhance landscapes. 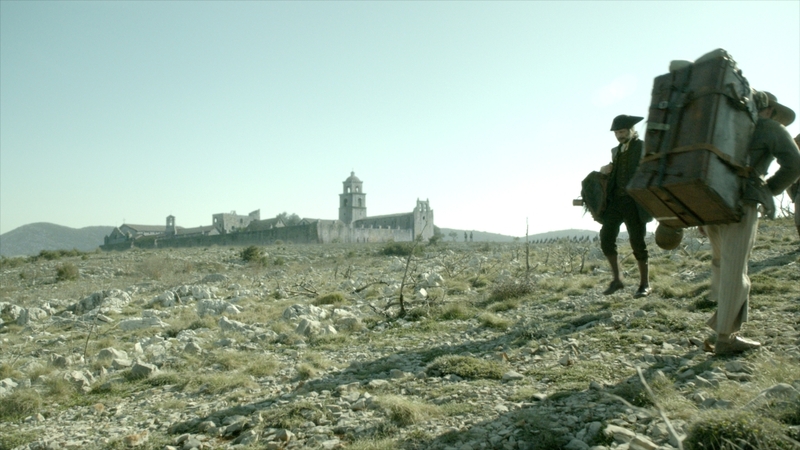 For the opening sequence of episode three, Milk created a matte painting of Estoril Fort on the brow of a hill and crowd replication for the army. Jonathan Strange is asked by Wellington to create a road for the English soldiers to march along in the Spanish countryside. The brief for this effect was to create a set of endlessly duplicating rocks that spread out in a controllable way to form a road across the landscape. A complex rigid body dynamics setup was created in Houdini to handle the multiplication of rocks and their interaction as they tumble and flow along a curve. Each rock was given a randomised lifespan before splitting into two, with each part growing to form an exact duplicate of its parent. The challenge was to create a natural and realistic feel to the movement whilst maintaining the ability to tightly choreograph the shape of the moving mass and the overall road. Additional particle and smoke simulations were used to add detail and help match the dusty look of the live action. The British army camp next to a windmill while searching for stolen artillery. The windmill base was built and shot on location and Milk created a CG windmill from the base upwards. We built a 3D model including some dynamic animation into the sails as the windmill starts to turn. Milk also built CG interior mechanisms of the windmill, which are triggered by Jonathan Strange’s magic. Windmill landscape- We create a beautiful matte painting for the entire background in every shot showing the windmill, including the tree line behind it. To add scale to the end of the sequence we added army tents, a Spanish town and flames and smoke rising from the burning windmill. Soho Square- Back in London at the end of the episode, Childermass senses magic and looks through the water in a glass and rushes out onto the street. Milk created the magical glow as well as the matte painting of his view, looking straight out of Mr Norrell’s door into Soho Square. Episode four marks the first time Jonathan Strange works out how to travel using mirrors into the world of the Raven king and the King’s Roads. To bring the journey to life Milk created the 3D environment for the world of the King’s Roads. Milk created the concept with a brief from Toby Haynes for a look and style based on the work of the artist Escher – it needed to look endless, vast and run-down and also untouched for 300 years. It was shot at Kirkstall Abbey in Leeds. This is also the first time we see people travelling through mirrors and we spent some time designing how this would work to establish the look. 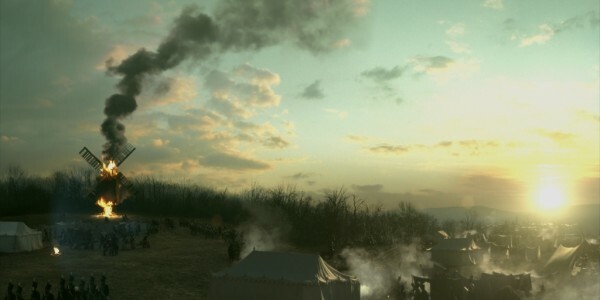 It was designed by the lead 2D artist Luka Leskovsek as a 2D effect using Nuke.